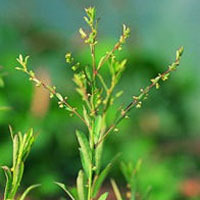 Phyllanthus is an herb found in central and southern India. It can grow from 30–60 centimeters in height and blooms with many yellow flowers. Phyllanthus species are also found in other countries, including China (e.g., Phyllanthus urinaria), the Philippines, Cuba, Nigeria, and Guam.1All parts of the plant are used medicinally. Extracts of phyllanthus plants have shown a marked ability to decrease pain, apparently by decreasing inflammation. With liver-protective properties, they may be safer than drugs such as acetaminophen, which has toxicity to the liver.